Summer is just around the corner, and in many parts of the country, the temperature is slowly allowing us to bring the outdoor furniture, grills, and t-shirts out. In time for BBQ season, we partnered up with Big Swede BBQ to bring you some amazing Scandinavian recipes, perfect for the pending summer! 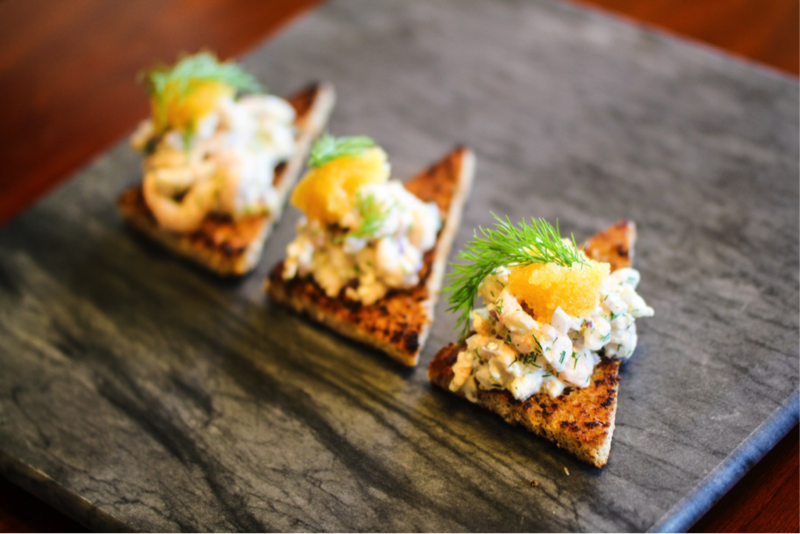 Toast Skagen is a classic Swedish dish, once awarded “The Best Shrimp Sandwich in the World” by Huffington Post. It was created by the popular Swedish restaurateur, Tore Wretman, just after the World War II and named after a fishing port in Denmark. It is a great appetizer and features a mayonnaise-based shrimp salad on a toast, garnished with caviar. The Big BBQ Swede put a spin on it by using some duck fat, some sourdough bread, and some additional caviar as garnish. 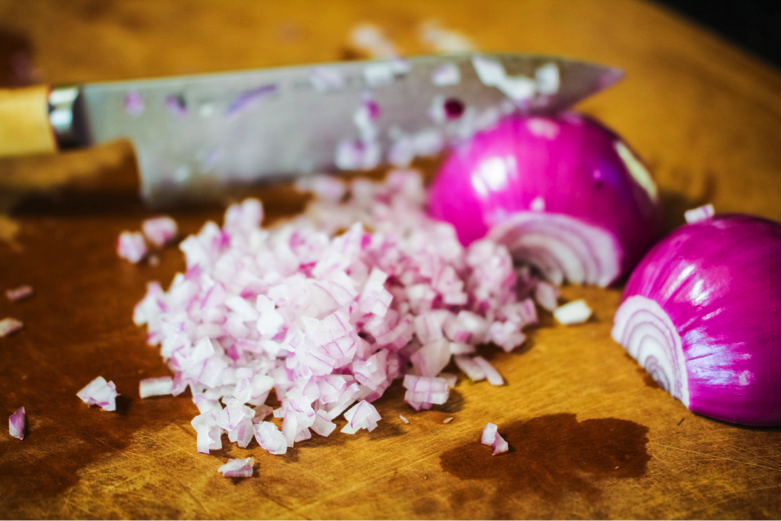 Begin with finely chopping the red onion. 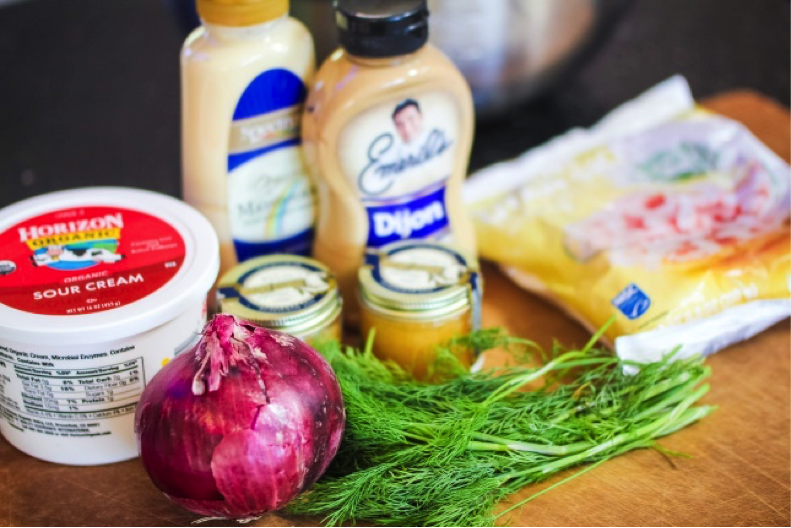 Mix the mayonnaise, sour cream, and Dijon mustard together. Add salt and freshly ground white pepper to taste. You can also add some brandy or some horseradish if you want to. Keep the mixture cold until required. 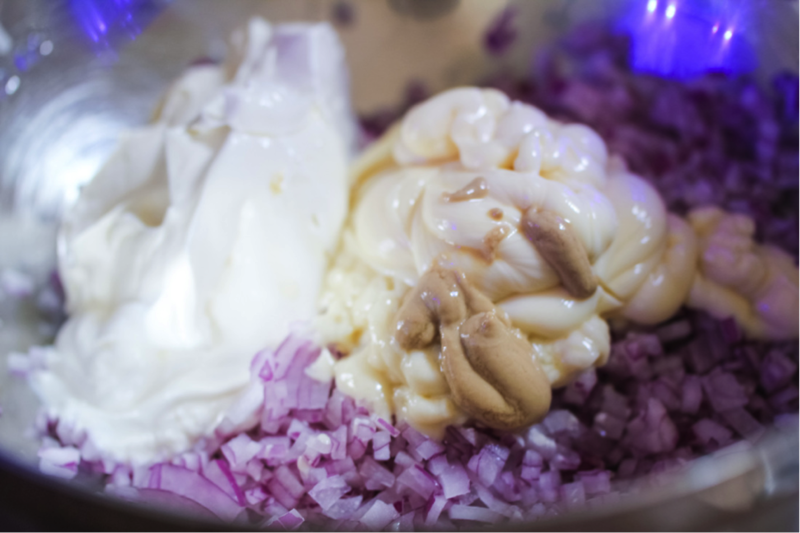 Mix onions, mayo, mustard and sour cream. Add whitefish roe and stir. 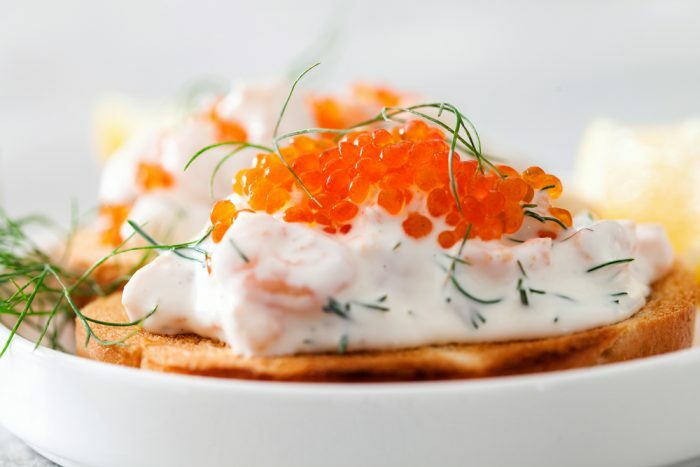 A traditional Toast Skagen calls for roe from Vendace, which is a species of freshwater whitefish in the family Salmonidae. It is found in lakes throughout northern Europe. 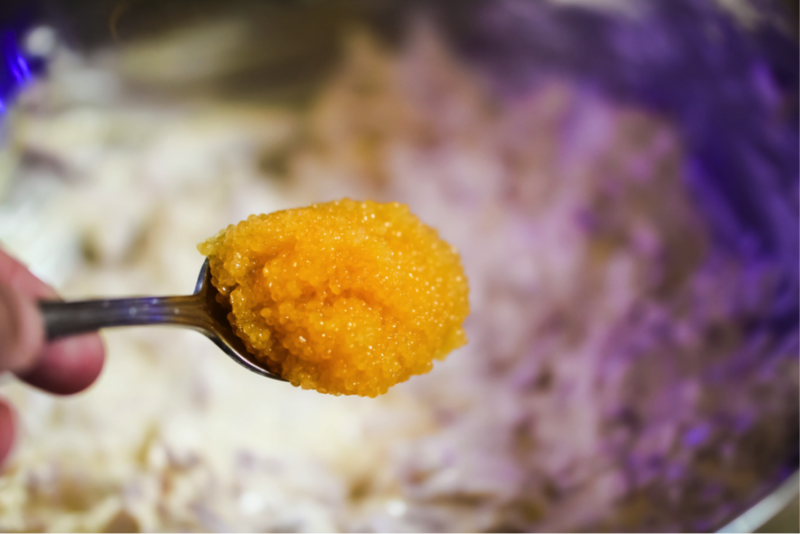 If you can get ahold of Kalix Vendace Roe, use it for Toast Skagen. 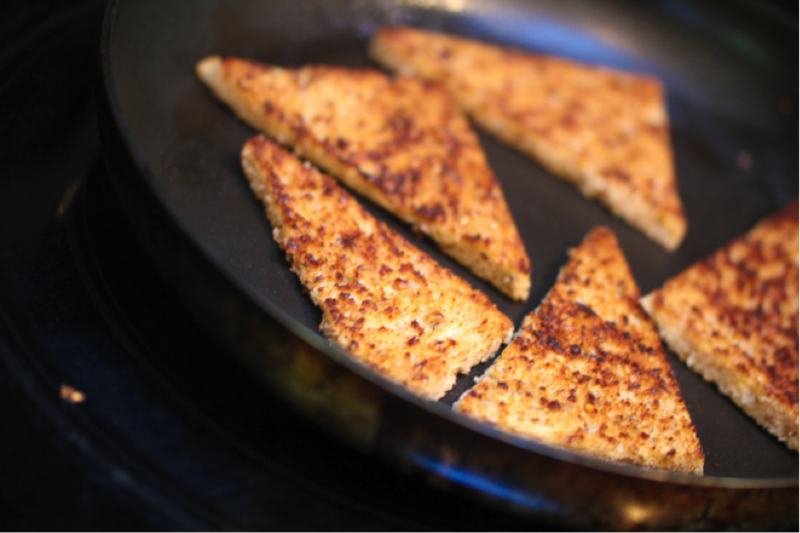 Since this is almost impossible throughout the US, the alternative is whitefish roe. 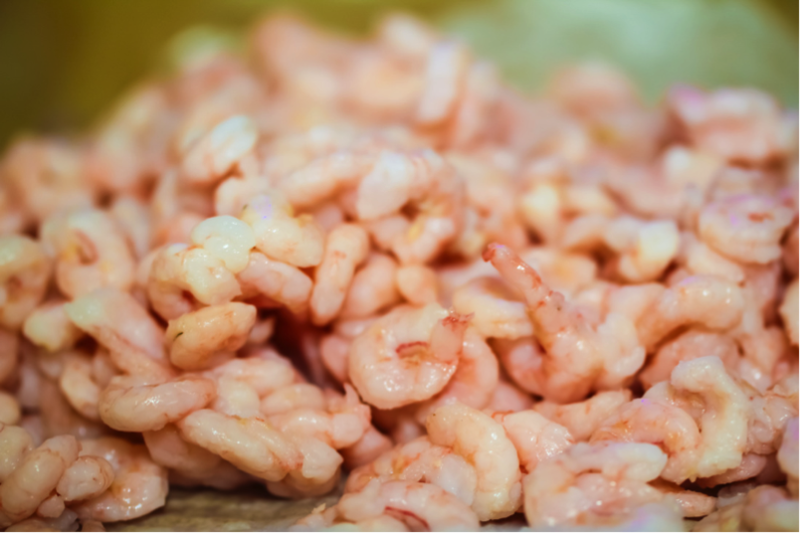 You should use small or extra small North Atlantic shrimps for the Toast Skagen. It is better to get the shrimps will their shell on since they are more flavorful. If you don’t want to go through the work with cleaning and trimming the shrimps you can buy them without shells as well. The best place to get them is at IKEA – only negative is that you have to assemble them yourself, IKEA style. 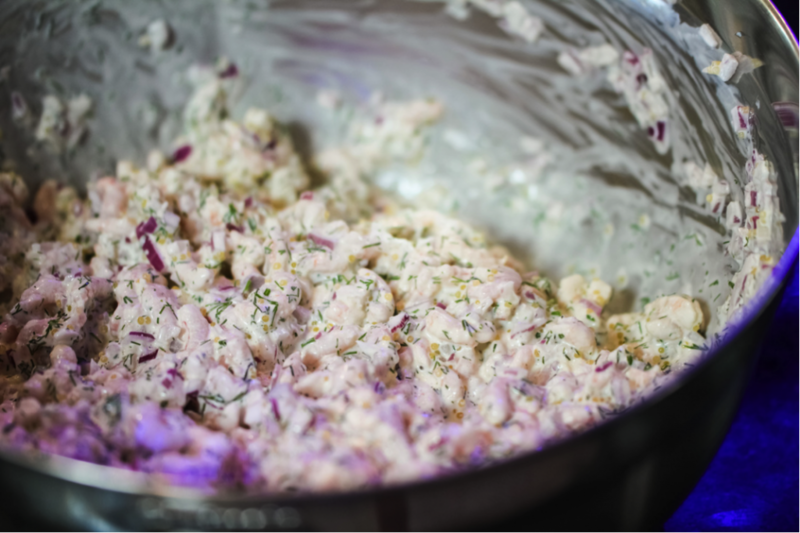 Clean the shrimps and add to the mayo mix. Finely chop the dill and add as well. Stir and keep chilled. The Skagen mix is now finished. It will taste better if you let it sit on the refrigerator for a couple of hours. Taste and add salt, white pepper or more dill. Ten minutes or so before serving, melt the duck fat in a large frying pan, add the sourdough bread slices and fry until golden brown on both sides. For a better presentation, cut off the edges and cut bread in half diagonally. 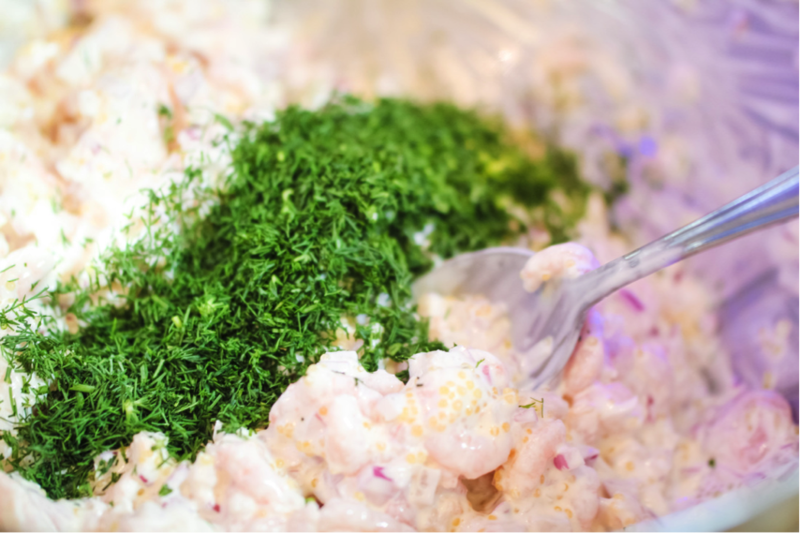 When ready to serve, pile the shrimp mixture on top of the fried bread and garnish with a dollop of caviar, a sprig of dill and a lemon wedge. You can also garnish with some chives or green onions. Best served on warm bread and cold shrimp mix. It’s a recipe that lends itself to experimentation. It is extremely easy to make but so rewarding. 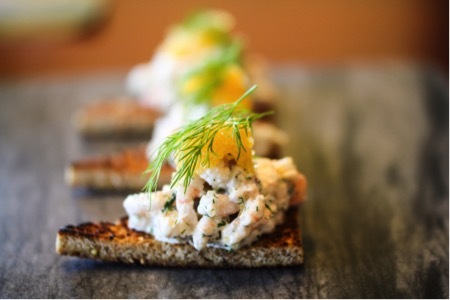 Toast Skagen is a wonderful little gem and is definitely worth trying out!! This article was first published on April 13, 2018. What I really want is the recipe for Vastkust Salad ,I had it in Karlstad,Sweden,and I can’t get a recipe,anyone please?